The Prairie Research Unit rests on 2,456 acres in Monroe County, Mississippi. Several hundred crossbred commercial cow-calf and stocker cattle graze the 1,570 acres of fenced pasture. The cattle are split into spring and autumn calving programs. The unit also has 66 acres of forage hay production and 200 acres of row crop research. Current research includes beef cattle, forage, row crop, and agricultural economics projects. The unit is working toward integrated livestock and crop systems, and developing additional acreage into more pasture, hay, and cropping systems. Established in 1962, Prairie’s early research included projects on cattle breeding, nutrition, and disease. Work was also done in insect control and forages. In January 1988, the unit became part of the North Mississippi Research and Extension Center, or NMREC. Dr. Jane Parish is head of NMREC, which encompasses four branch stations of the Mississippi Agricultural and Forestry Experiment Station, including Prairie. Prior to her current position, Parish managed the Prairie Unit. Parish discussed how the unit uses ingenuity to manage cattle more efficiently. Formerly the site of the Gulf Ordnance Plant, a military munitions plant in operation during World War II, roads have paved way to cattle lanes where gates serve as barriers at intersections. The unit has an eight-pen GrowSafe feed intake and behavior monitoring system with pasture access from each pen as well as twenty-seven five-acre pastures for grazing projects. Parish said several research projects highlight the station’s innovation including a study aptly named MAMA, helmed by Cobie Rutherford, a doctoral student in the Department of Animal and Dairy Sciences in the College of Agriculture and Life Sciences. Parish said this research could be applicable to cattle producers no matter the size of their operation. She said Rutherford is also conducting studies with GPS collars evaluating the weaning behaviors of mothers across generations. Additional research includes an agricultural economic study that is trying to determine the best time to send pregnant cows to market for an optimal premium as well as a study that explores culled sweet potatoes for use in cattle feed systems. Parish said all the research at Prairie focuses on training tomorrow’s agricultural leaders while developing applied research that helps producers better manage herds while increasing their bottom line. 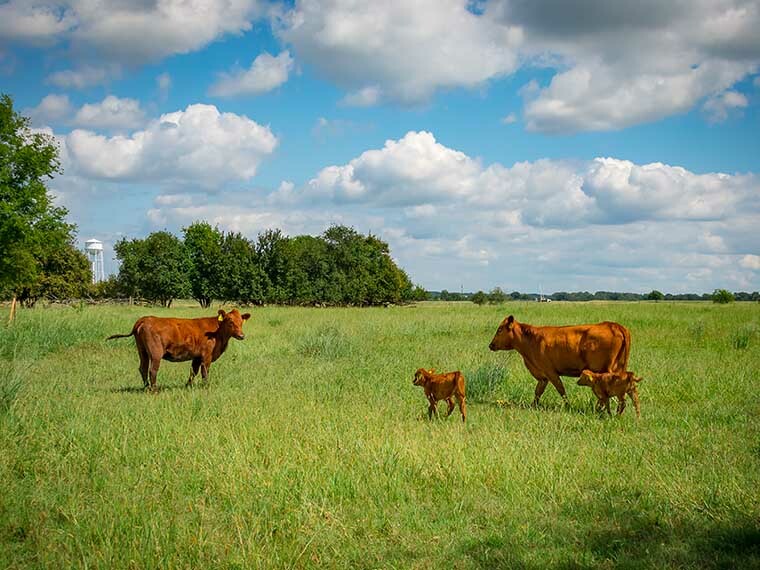 “The Prairie Unit focuses on training students and finding new knowledge that translates to savings for Mississippi producers while developing integrated livestock and crop systems that support major research efforts in both animal science and agronomy,” Parish said. The Prairie Research Unit is located at 10223 Hwy 382, Prairie, MS 39756. For more information, visit http://mafes.msstate.edu/branches/north.asp?location=prairie.